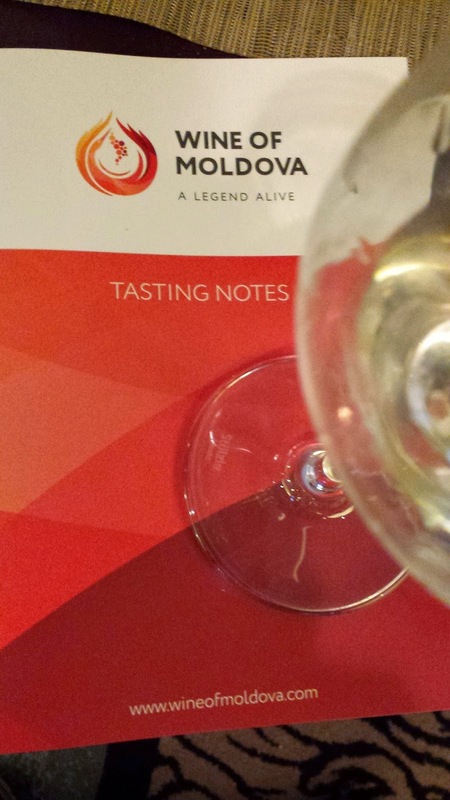 Last week the Moldovan National Office for Vine and Wine conducted trade tastings in Washington D.C. and New York City entitled Wine of Moldova Eastern Europe's Best Kept Secret. This presented an opportunity to learn more about Moldovan Wine far from the sweet Moldovan reds that I had tasted long ago. Moldova is located in far southeast of Europe, with Ukraine providing an eastern border, Romania a western, and the Black Sea basin to the south. The climate is moderately-continental (46-47˚ latitude) with the Black Sea influencing vineyards in the southern regions. Red wine grapes are primarily grown in these southern regions, with white wine grapes predominately in the central regions. And there are four primary wine regions: Valul lui Traian (southwest), Stefan Voda (southeast), Codru (central), and Balti (northcentral). One interesting note is that Valul lui Traian translates to Trajan's Wall and is located between two of these walls used to protect the Roman Empire from "barbarians". Grapes have been grown in what is now Moldova for thousands of years - starting with the ancient Greeks. Known as Thracia, the Dacians (Thracians) produced wine perhaps over five thousand years ago and the Illiad highlights this in a verse: "Greek warriors went to Thracia to find wine”. This tradition continued with the Romans and peaked in the Middle Ages under Stefan the Great. Yet, even under Ottoman rule, wine production was still a strong component of the local economy. In the early 1800s, Moldova found itself under Tsarist rule and the aristocrats thirst for wine drove production higher with wine being exported to throughout Europe when the phylloxera epidemic ensued. Following the two World Wars, Russia demand for sweet red wine dominated the Moldova wine production up until Gorbachev's anti-alcohol campaign in the 1980s.Moldovan producers started looking at international standards which received a further boost upon Independence in 1991. Today Moldova has 112,000 hectares of vineyards planted with over 30 grape varieties - with 70% of these white varieties. The white varieties are preponderantly grown in the central Codru region with Rkatsiteli, Sauvignon Blanc, and Chardonnay the top grapes. Red varieties include Cabernet Sauvignon, Merlot, Pinot Noir, and Saperavi - mostly planted in the southern regions of Valul lui Traian and Stefan Voda. You can also see a Republic of Georgia presence with the Rkatsiteli and Saperavi. Indigenous varieties account for only 10% of overall wine production, with many of these also shared with Romania: Feteasca Alba, Feteasca Regala, Feteasca Neagra, Rara Neagra, Plavai, and Viorica. 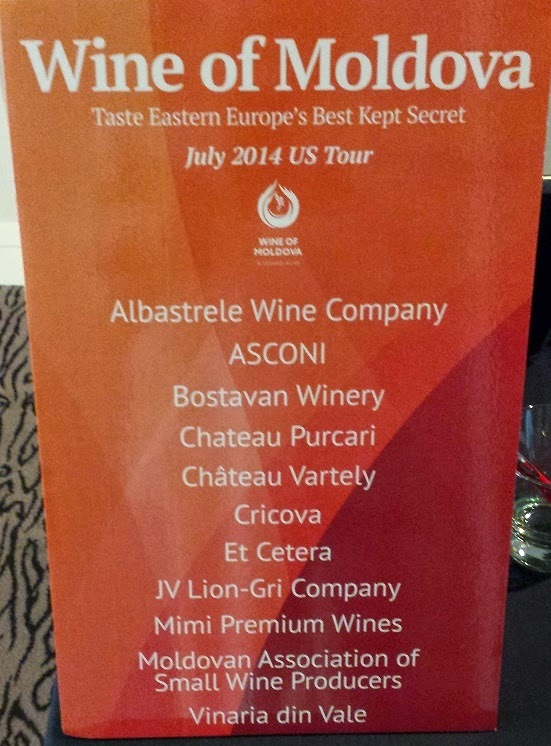 During the Washington D.C. tasting, I sampled wine from 13 wineries - ten listed above and three from the Moldovan Small Wine Producers Association. Most of the wines were seeking local distribution; but the retail prices for all the still wines range, or will range from $10-$15. 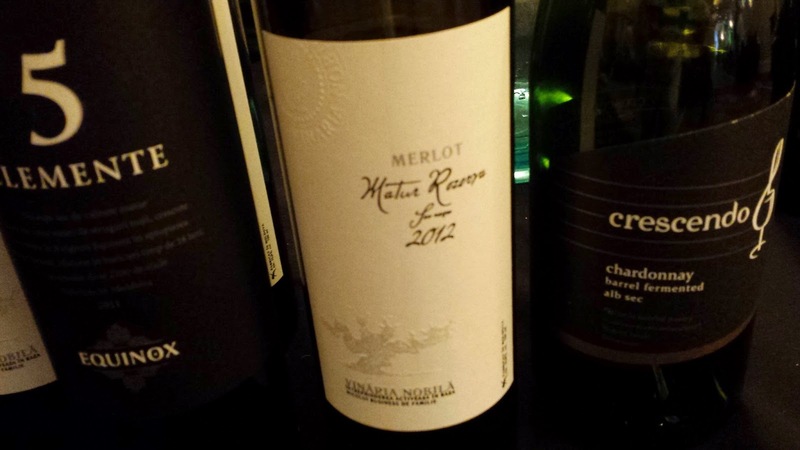 For the international varieties, I tended to prefer the Merlot over the Cabernet Sauvignon with some of my favorites being the Vinaria Nobila 2012 Merlot, et cetera (Stefan Voda) 2011 Merlot, Cricova (Codru) 2011 Vin Virgin, Castel Mimi (Codru) 2012 Merlot, and the Vinaria Din Vale (Valul lui Traian) 2011 Merlot. That being said Bostavan was pouring a very nice 2010 Cabernet Sauvignon along with a bone dry, floral and tasty muscat - their 2012 Muscat Cocori. At the next table, Chateau Purcari (Stefan Voda), on of the oldest continually operated wineries in Moldova (1827), was pouring a very tasty rose along with three solid reds - my favorite being the indigenous 2012 Rara Neagra. Speaking of indigenous grapes, there were several examples of the white Feteasca Alba (Castel Mimi (Codru), Vinaria din Vale (Valul lui Traian), Cricova (Codru)). I can see myself exploring this wine grape further, the wines were soft and creamy, with interplay between lemons and nuts. Acids are mild - not sure if that's relevant to the grape or vintage. Cricova is a producer to follow; the morning of the tasting I read this BBC article describing their unique underground city. In addition to the Feteasca Alba and Merlot, they poured a nice Pinot Noir sparkling wine - the Grand Vintage 2007. I few other producers I spent considerable time with were Albastrele Wines (Stefan Voda), Chateau Vartely (Codru) and et cetera (Stefan Voda). 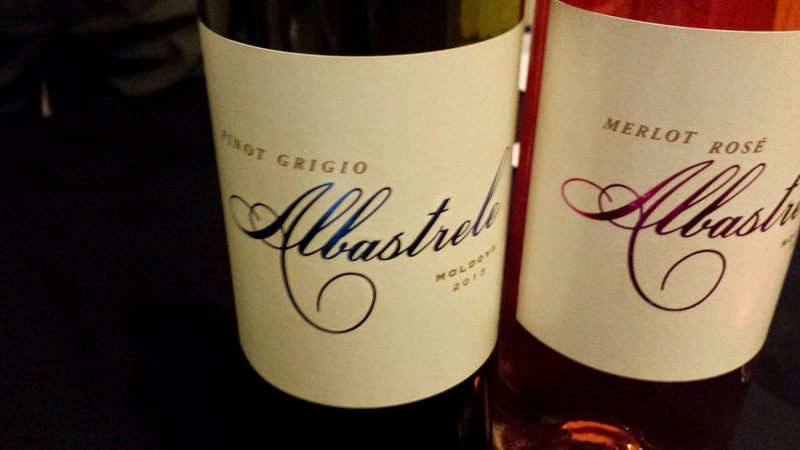 Albastrele poured a Merlot Rose, a Sauvignon Blanc, and a Pinot Grigio - all from the 2013 vintage. Each were fresh, clean, great acidity, and tasty - with the Pinot Grigio providing a nice creamy mid-palette. Chateau Vartely had the most unique collection, a Rara Neagra Syrah Merlot blend which was balanced between earthiness and fruit, a dry Traminer (perhaps my favorite wine of the tasting), and a true Muscat Ottonel Ice Wine. Very nice. Finally, et cetera, is an example of the new spirit in Moldovan wine production. The winery was started by two brothers, Alexandru and Igor Luchianov, as they returned to their native Moldova after spending many years in the United States. They planted their first grapes in 2003, opened the winery in 2009, and now produce 8,000 cases annually. Many of these cases are sold out of their wine tourism based operation with restaurant located on the property and an inn in the works. Each of us probably don't have access to many or any Moldovan wines in our local markets. But pay attention, because if you see one, don't be dismissive and take a look. You will most likely have a nice value wine. Cheers. Well... 99% of their wines are overpriced, 99% are cheap quality and 100% give you headache (suflites are the best friend of moldovan wineries). Don't forget who paid for this ridiculous tour in the US : our taxes! Forget one minute about the funny/exotic origin of the wines and compare with calif/french/italian/ZA wines at same price... deal broken! And maybe remember for a minute that variety is the spice of life. It's good to try something other than 'calif/french/italian/ZA wines' now and again. Moldovan wines are not over priced, some offer very good value. I can personally recommend a Purcari Winery 2011 Pinot Noir which our informal wine tasting party voted the 'best' over other red wines, different varieties and some much more expensive. I also enjoyed a Chateau Vartely 2009 Cabernet Sauvignon (not part of our wine tasting). 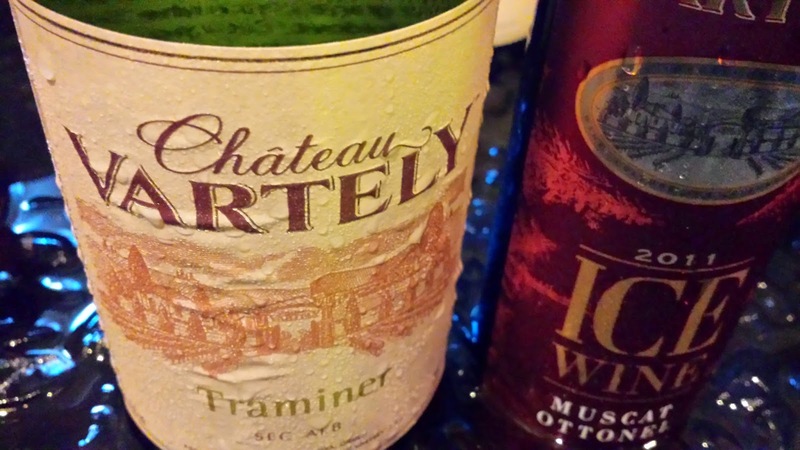 I'm a Canadian visiting Moldova and no wine expert nor any affiliation with the wine industry. I just enjoy good wine. Enjoy!